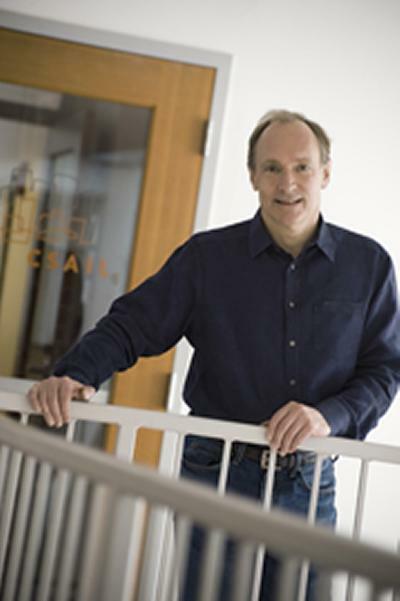 Professor Sir Tim Berners-Lee, a leading academic in Web and Internet Science at the University of Southampton, is one of five joint winners of the Queen Elizabeth Prize for Engineering. The prize, given by The Royal Academy of Engineering, honours Tim for inventing the World Wide Web and is awarded in recognition of ‘outstanding advances in engineering that have changed the world and benefited humanity’. Tim won the award jointly with Marc Andreessen, who was honoured for his work in inventing the Mosaic browser, and Vinton Cerf, Robert Kahn and Louis Pouzin, who were honoured for their work in developing the internet. The award will be presented by Queen Elizabeth II, this summer. Tim says: “The prize recognises what has been a roller-coaster ride of wonderful international collaboration. Bob and Vint’s work on building the Internet was re-enforced by Louis’ work on datagrams and that enabled me to invent the web. Marc’s determined and perceptive work built on these platforms a product which became widely deployed across nations and computing platforms. I am honoured to receive this accolade and humbled to share it with them.